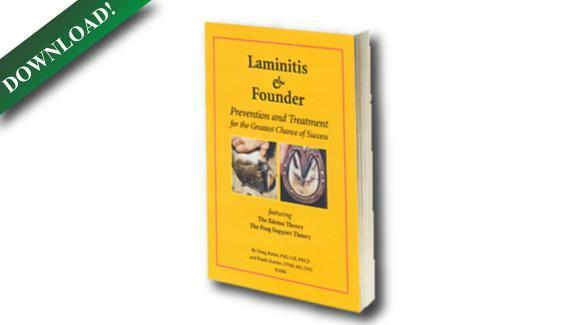 The 2nd edition of our "Laminitis & Founder" eBook is now free to download. Visit the link below to download your copy. 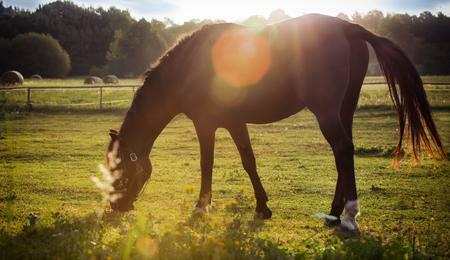 Understanding the horse's digestive system is a key factor in developing a feeding plan that fulfills your horse's nutritional needs. Follow the link to learn more. Download the Life Data® Hoof Booklet for information and tips that discuss the proper care and nutrition for a horse’s hooves. A pelleted combination hoof and joint supplement that can be added as a top dressing on the regular feed or given separately. 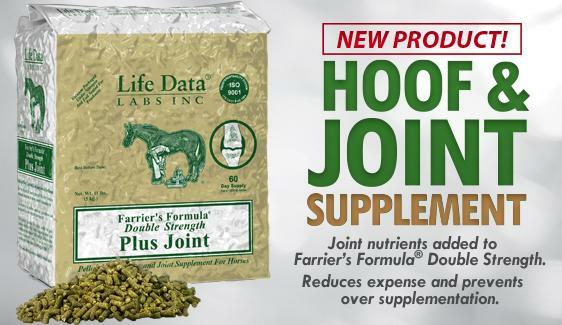 The product is formulated to promote dense hoof wall growth along with additional joint and tendon support. 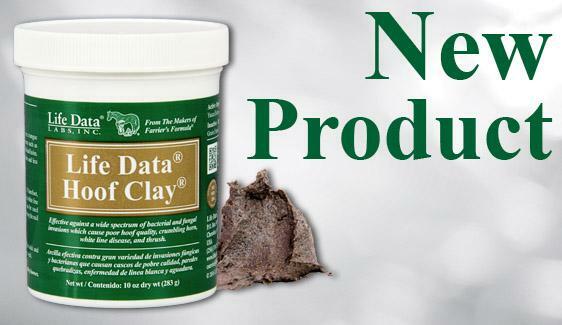 Life Data® Hoof Clay is a pliable antimicrobial clay which easily packs and remains in place within hoof defects, old nail holes and cracks.•	Effective against microbial organisms that lead to white line disease, crumbling hoof horn, wall separations, and thrush.•	Non-irritating and safe to apply without wearing gloves. Farrier’s Finish® is a hoof disinfectant that destroys the microbes which cause white line disease, thrush, and crumbling hoof wall. 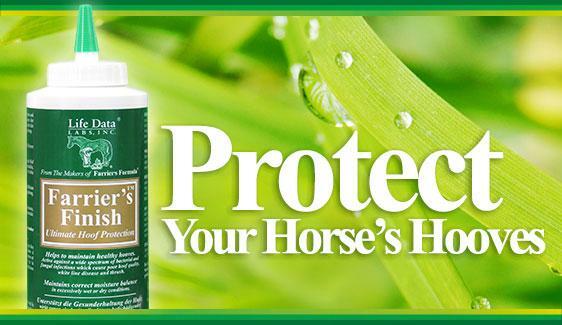 It is also a conditioner that supports optimum hoof capsule moisture balance in excessively wet or dry conditions. And it’s non-caustic! Life Data® can collect nutrition answers from a simple blood draw. 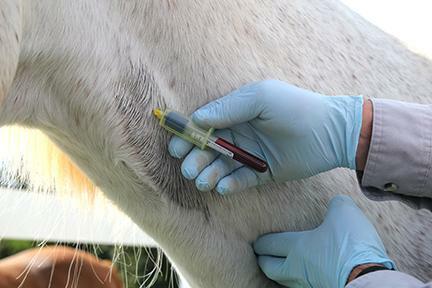 We are conducting research to study the relationship of trace minerals in the bloodstream of horses and how they relate to disorders such as obesity, insulin resistance, Cushing’s disease, anhidrosis, hoof problems and laminitis. Download the Life Data® Hoof Care Booklet for information and tips that discuss the proper care and nutrition for a horse’s hooves. 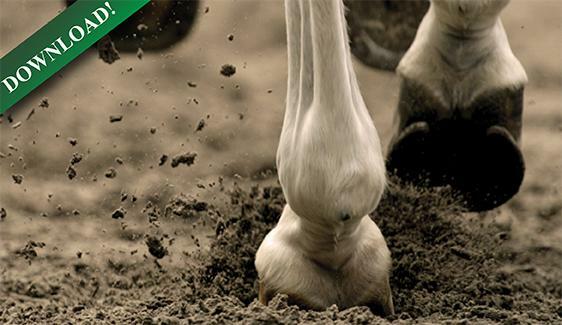 Life Data® Hoof Clay is a pliable antimicrobial clay which easily packs and remains in place within hoof defects, old nail holes and cracks. •	Effective against microbial organisms that lead to white line disease, crumbling hoof horn, wall separations, and thrush. •	Non-irritating and safe to apply without wearing gloves. 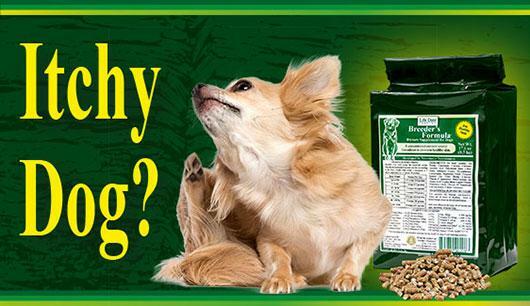 Do you have a dog that is constantly itching, scratching, biting and licking himself? Then check Breeder's Formula®: a concentrated nutrient source designed to reduce nervous behavior and promote healthy skin.